United States-based food and beverage producers are rejoicing: More sugar is being allowed into the country. Despite a long, complicated history of trade agreements between the U.S. and World Trade Organization (WTO) countries and a separate agreement with North American Free Trade Agreement (NAFTA) partner Mexico, recent developments have food producers optimistic they’ll see more sugar than in the past. Through a complex tariff rate quota (TRQ), the USDA controls sugar imports from 41 countries—40 WTO countries and Mexico, via separate agreements. U.S. food producers have long claimed they need more sugar than the United States produces, and with a cap (currently 1.2 million tons) on the total amount of sugar that can come in through the TRQ, Mexico is a natural, geographically convenient trade partner. However, that’s where things get even more complicated. With the Antidumping Duty Suspension Agreement on Sugar between the United States and Mexico, the type of sugar allowed into the United States (sugar versus refined sugar) is restricted. The agreement requires 47% of imported Mexican sugar to be raw. U.S. cane refiners were unhappy with how much refined sugar was coming in from Mexico, contending it hindered their own refining operations as well as suppressed their prices. Still, the U.S. needs Mexico’s sugar. In the simplest terms: the United States needs more sugar than it produces and needs to find a way to get more raw sugar into the country. With a cap on TRQ imports and less than half of Mexico’s sugar being raw, the U.S. sugar industry has been clamoring for a change. This summer, two major events have taken place as the USDA attempts to solve both the food producers’ demand for more sugar and the sugar refiners’ need to stay competitive in their own country. The USDA announcement of allowing 414,000 additional tons of foreign sugar into the United States in fiscal year 2017. Approximately 25% of that will come from Mexico, and the rest will be divided among the 40 TRQ countries. The increase raises the stocks-to-use ratio (the primary indicator of sugar availability in the U.S.) to approximately 14.5%. Although food producers prefer to see the stocks-to-use ratio higher (at least 15.5%), they are happy with the increase as there were fears it would be much lower until the USDA increase. Producers also wish the USDA would’ve made this decision earlier. It’s likely, though, the USDA had to delay the decision due to the renegotiation of the suspension agreement with Mexico, which was finalized June 14. The Antidumping Duty Suspension Agreement on Sugar Amendment changes the percentages of sugar allowed in from Mexico beginning in fiscal year 2018. The new agreement requires 70% of sugar imported from Mexico to be raw, a 23% increase from the old agreement. This is great news for the sugar refiners, however food producers are generally less enthused, as their main goal is getting sugar into the country—anything that restricts it could raise prices that affect their bottom lines. 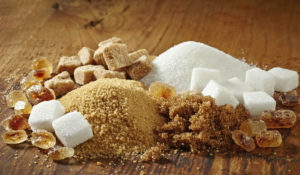 The agreement also raises raw sugar to 23 cents per pound (from 22.5 cents) and from 26 to 28 cents per pound for refined sugar. Also, fears that Mexico may not be able to adequately fulfill the sugar demand mean food producers may be asking the USDA to again increase the TRQ. What Does it Mean for the Sugar Industry? In short, there will be more sugar entering the United States than before, but we can anticipate price fluctuations as supply and demand change. Yes, there will be more sugar coming in, but will it be enough? Will the types of sugar being allowed from Mexico help the food producers as it will help the sugar refiners? Will the USDA allow another TRQ increase in the near future?